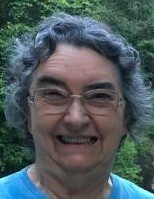 Joyce Darlene "Sam" McKinney age 68, passed away peacefully in her home surrounded by her family on Friday November 30, 2018. She was lifelong resident of Skin Fork. She was preceded in death by her father, Willie Joseph Roberts, and an infant grandson Garrett Mark Cook.She is survived by her husband of 51 years, Ronnie McKinney; her mother, Lena Roberts. One Great Grand Daughter, McKenna Deanne Goss; and special friends Adam Cooper, and Branson Mahon. Two sisters Betty J. Blackwell of Check, VA and Patty J. Roberts of Middlesex, NC. She was a member and an avid worker in the Cooper Memorial Baptist Church, where she held several jobs. Services will be 11 am Wednesday December 5, 2018 at Cooper Memorial Baptist Church, with Rev. Merle Walls, and Rev. Tommy Lusk officiating. Following the service she will be laid to rest in Cooper Memorial Baptist Church Cemetery. Friends may gather with the family from 6-9pm Tuesday evening at the church. Pallbearers will be Ryan Cook, Corey Staton, Hunter McKinney, Jalynn Browning, Glen Lusk and Joey Cooper with honorary Pall bearer, Zakery McKinney.